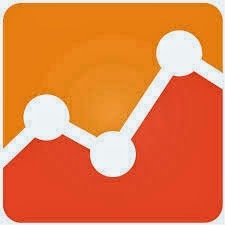 List of basic and advanced Google Analytics interview questions and answers. 1- What is meant by conversions and how will you track conversions through GA? Conversions happens when any predefined goals are accomplished thereby generating ROI to the business. Proper goal URL's needs to be specified before GA can start tracking conversions. We need to define a goal URL through the Conversion section in GA and whenever the visitor reaches the predefined goal URL, a successful conversion gets tracked. 2- What is the difference between a visit and a session? As per the current standards, sessions and visits are the same thing, there is no difference. Whenever a visitor enters the site, a session starts and lasts for 30 minutes. This counts to 1 visit and 1 session. 3- What do you understand by assisted conversions? On most of the cases, conversions do not happen using a single channel. often, more than one channel is included in a successful conversion. Assisted conversions helps us to get a clear idea as to which channels are involved in contributing a conversion. This is shown in the Multi Channel Funnel reporting tab in GA. Common channels contributing to conversions are direct, organic search, referral, not set, social network and email. 4- I want to track how many organic visits I am getting on a weekly basis for a predefined set of keywords. What is the best way to check that on a regular basis investing the least possible time? We can create a custom dashboard and specify all the metrics and dimensions there. Creating a custom dashboard will save our time and allow us to check the status at any point of time during the week, month or day without applying filters every time. 5- How can I identify the keywords that are sending paid traffic to any site? The keyword column displays traffic divided under paid and organic. We can easily identify the paid keywords by moving to the keywords section. 6- How will I identify the popular pages on my site? The popular pages on the site are the top landing pages of my site. I can identify the top landing pages of my site by moving to the behavior section. This will display the top landing pages that are giving us the maximum visits. 7- How does Google calculates time on page? Google puts a time stamp whenever any user lands on a specific page then it compares the time stamp of one page with the other. For example, any visitor enters the site on Page A and moves to Page B then lands to Page C and finally leaves the site. In this case, a time stamp is put on Page A suppose its 10:10, when the user moves to Page B, another time stamp is placed on Page B, suppose its 10:20 and then when the user lands on Page C, another time stamp is placed, lets say 10:30. Now to calculate time on Page A, Google will subtract the time stamp on Page B with that of A. In this case, 10:20-10:10 which will come to 10 minutes for Page A. 8- How can I identify where the visitors are clicking the most? This can be seen with the help of In-Page Analytics. 9- Where can I find the UA tracking code? The Universal Analytics tracking code can be found in the admin section of the web property. 10- By default, a session is of 30 minutes, is it possible to change the session time and make it 45 minutes? Yes, we can set custom session timings by moving to the admin section and clicking on the session settings.